Price Reduced! Location, Location, Location!! 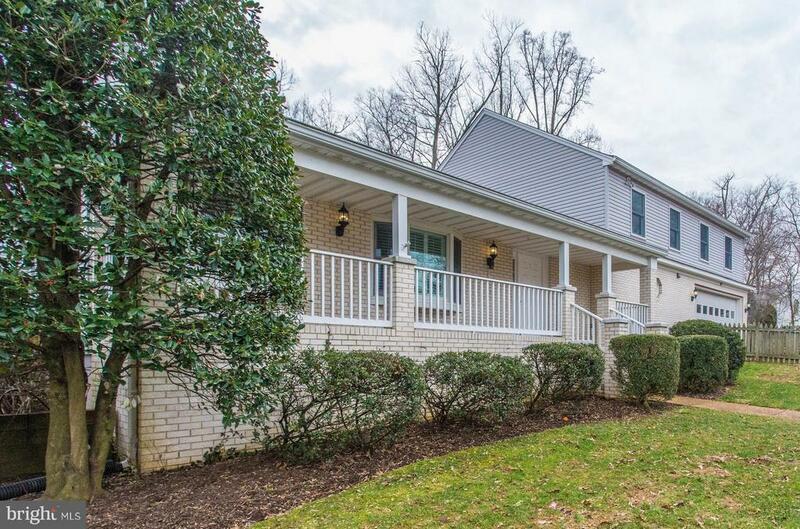 Located in Fairfax Citys popular Westmore subdivision, this large corner lot features an inviting front porch, fenced and gated front and rear yards and an oversized 2-car garage. The main level boasts beautiful hardwood floors and walls of windows with plantation shutters. Guests will enjoy get-togethers in a large living room, adjacent dining room and kitchen with tons of cabinet space! Two main level bedrooms and full bathrooms may also serve as a private office(s), The upper level is the owners dream get-a-way boasting a gigantic 17 x 15 bathroom w/ double shower, luxurious jetted soaking tub and dual vanities!! Is there such a thing as too much closet space? Enjoy a gigantic walk-in, dual mirrored bypass closets and an oversized linen closet! This private lot has plenty of room for a garden and dont forget you get a heated driveway too!